Snowboarders and skiers make their way down the slope during opening day at Sunlight Mountain Resort on Thursday. 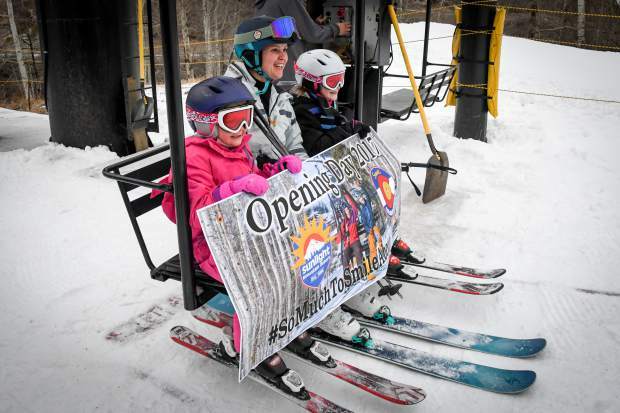 Sedona Ditlow, 7, Ashly, and Bristol Ditlow, 9, were the honorary first skiers on the lifts during the opening day at Sunlight Mountain on Thursday. 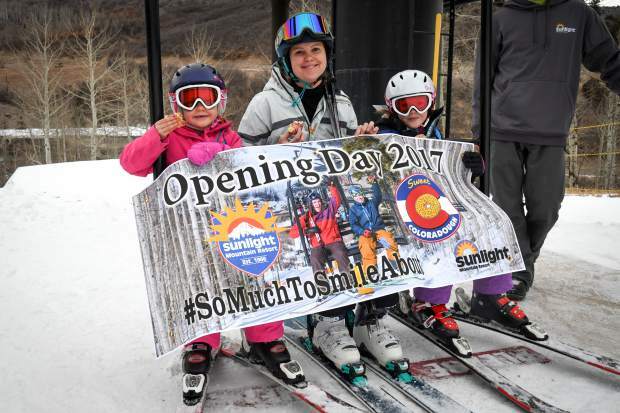 Sedona , 7, Ashly, and Bristol Ditlow, 9, were the honorary first skiers on the lifts during the opening day at Sunlight Mountain on Thursday. A lone skier takes the lift up the mountain during the opening day at Sunlight Mountain. 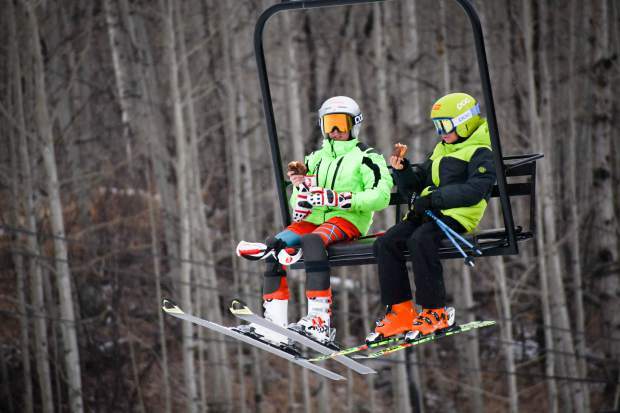 A couple of ski friends take the lift up to the Midway run with free doughnuts in hand during the opening day at Sunlight Mountain. The Rev. 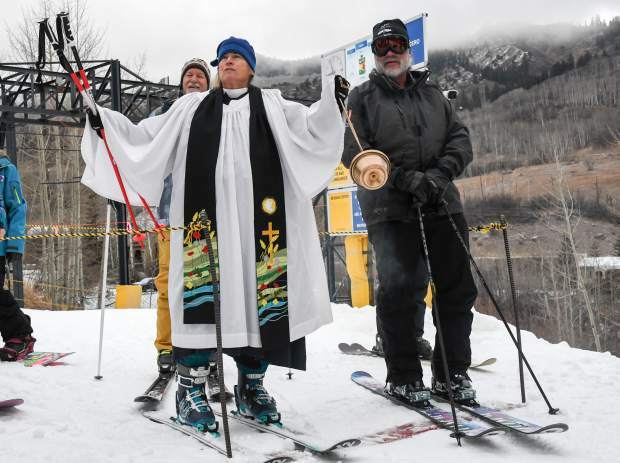 Wendy Huber delivers a blessing and gives thanks for the recent snow before the opening of the Tercero lift at Sunlight Mountain on Thursday. Sunlight Mountain Resort lift tickets are $40, or $20 for children, through Christmas. The special pricing is available only in person. 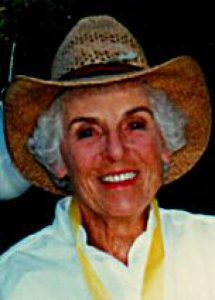 Learn more about the resort at sunlightmtn.com. 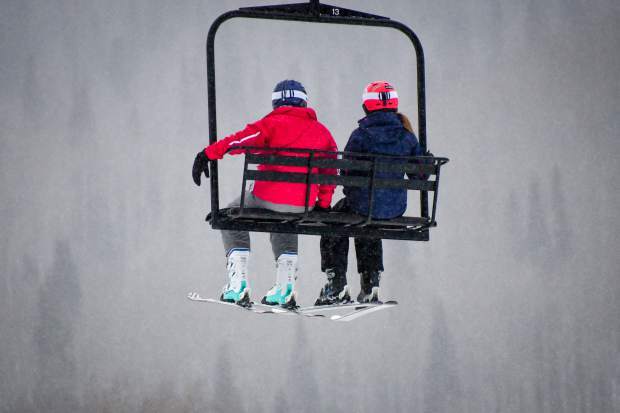 Sunlight Mountain Resort celebrated its 51st opening day Thursday. 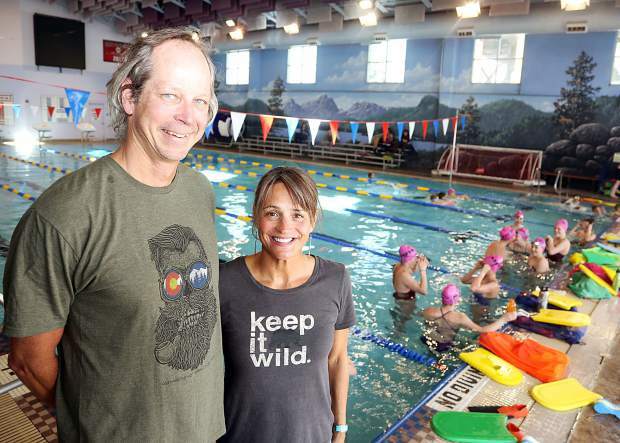 It’s the latest the resort has opened since 1987, when 40 percent of the mountain opened Dec. 18. 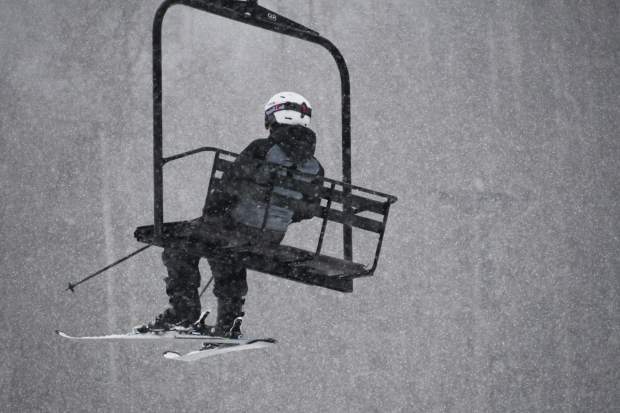 Only one run — Midway — was open Thursday. But that didn’t keep people off the mountain. At 11 a.m., Director of Sales and Marketing Troy Hawks estimated 40 people were out on the slope. 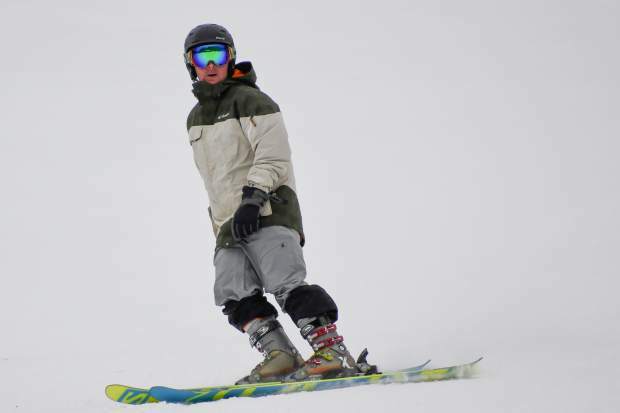 A number of them were participating in ski and snowboarding lessons, for which the open terrain — a green run — was well suited. Although the overnight snow was limited, it was significantly heavier midmorning than in town. Hawks is hopeful that more runs will open during the holiday weekend. 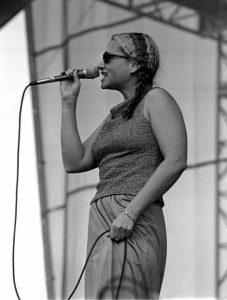 “You’ve got to be optimistic, you know. You’ve got to keep positive, whether it’s later in the season or not,” said ski technician Dakota Matusenske. 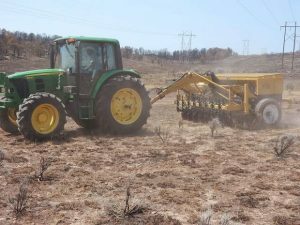 Jeremy Wagar and Scott Gengenbach are Houston-based pilots whose work brought them to Eagle. Gengenbach said he’s skied Sunlight several times before, and they were happy to be out. 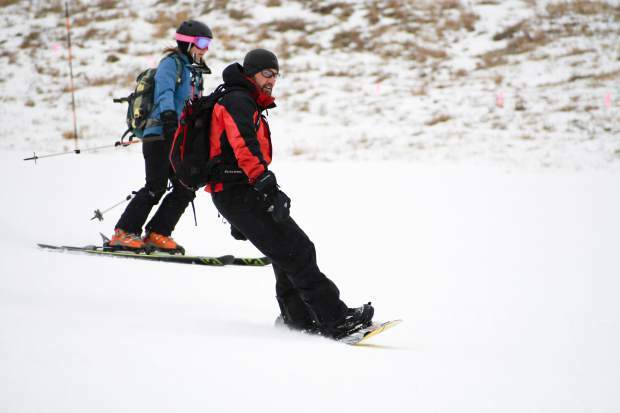 “It’s a fun little mountain and it’s affordable,” Gengenbach said during a break in the lodge. 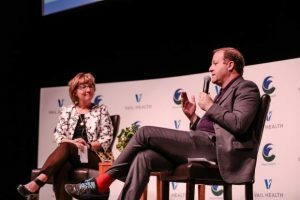 “It’s cheaper than going to Aspen, that’s for sure,” Wagar added. Gengenbach plans to return to the mountain with his fiancé in January, and looks forward to more terrain opening. Even so, the limited availability didn’t get him or Wagar down.